The past couple of years have been difficult for Head Start program administrators and the families across America who depend upon Head Start for nutritional, health and early learning programs. In light of cuts to the Head Start budgets by the federal government, many administrators have been forced to reduce Head Start budgets by cutting staff, reducing the number of spots available to needy families or by closing their doors completely. In addition to all of the costs associated with the daily administrative operations of a Head Start program, there are other things to consider. Food purchasing for Head Start, as well as other important paper and office supplies, eat up a lot of the monthly budget. Programs like FoodSource Plus offer a free cost analysis of the local Head Start budget, determine where over-spending is occurring and offer suggestions on how to improve buying power, make purchases in bulk and reduce Head Start budgets throughout the course of the year. In most instances, Head Start budget cuts could be countered through better purchasing practices, allowing administrators to continue offering services and keeping essential employees despite changes that come from the federal government. In fact, studies have shown consistently that food purchasing for Head Start done through FoodSource Plus has been able to reduce Head Start budget by as much as 10-35 percent annually, while ensuring proper nutrition and fresh, healthy foods are provided. 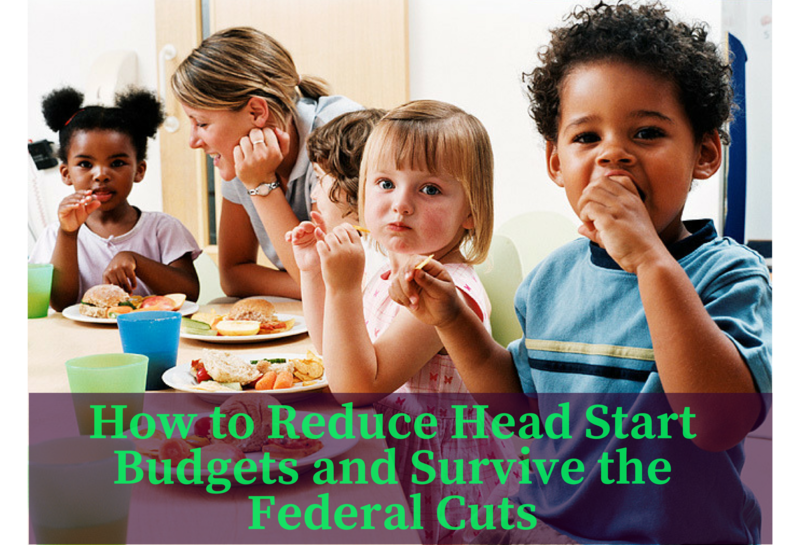 Headlines were made in 2013 regarding the federal government’s sequestration cuts and the effects of the hit that the Head Start budget made nationwide are still being felt in communities throughout the country. One program in Florida recently made the news when it announced that it would return in the fall of 2014 after having to shut down after sequestration. That single program location serves 36 local children and their families and it was reported by the local news in Lake Wales that the need for such a program in that area was the greatest in the county, to provide quality preschool education for low-income kids, aged three, four and five. Part of the Head Start program is making parents more aware of their child’s needs with regard to education, healthcare and nutrition. They accomplish this by inviting parents into the classroom to participate and see what their child has been learning. That is why it is so important for the Head Start budget to allow for multiple locations throughout the community, to make it easier for parents to visit the classroom. In some areas, parents are having to get on a bus to make it across the county just to visit the classroom and studies have show that in cases like that, parent participation diminishes. When administrators contact FoodSource Plus to see if they can reduce their budget in the area of food purchasing for Head Start, we begin with a FREE cost analysis of the current menus and purchasing behavior. This helps our staff to see where you are purchasing your supplies, how often you purchase supplies, if you are paying too much for your supplies and whether or not food is getting wasted due to over-purchasing habits. In addition to helping administrators reduce Head Start budgets, we also offer other free services that can help you to improve your menu to provide more nutritional services to your students and their families. We have a Registered Dietician on staff that will review your menus according to guidelines of SBP, NSLP, CACFP or any other requirements that you follow in your district. FoodSource Plus specializes in food and supply purchasing and purchasing management consulting. We work exclusively with non-profit organizations within the human service industry, providing FREE services designed to lower costs associated with food purchasing for Head Start and other organizations since 1999. We work with a network of vetted vendors to ensure that you only get the best food and supply purchasing value in the nation. Our team will help you to implement smart purchasing procedures and management systems that will help you to take control over your Head Start budget and save money wherever possible. Our goal is to help administrators reduce Head Start budgets and learn to make cost-effective decisions that will allow them to overcome any reductions or delays in funding from the federal government. Participation in the program is completely free – all you pay for is the food and supply purchases that you would already normally be making without our help. We provide you and your organization with the tools you need to improve menu planning, reduce wasted food and supplies, nutritional analysis, better budgeting, smarter ordering systems, better control over delivery and inventory, portion control to ensure proper nutrition and product diversification for a more balanced menu and nutritional program. FoodSource Plus is a completely independent, privately owned management and consulting company. We do not own, manage or work for any of the vendors that are affiliated with our free service. In light of all the cuts being made to educational programs and, in particular early learning programs, such as Head Start, FoodSource Plus is now more valuable to administrators than ever before to reduce Head Start budgets to keep programs open and spots available to the children and families who need them most. It is our mission to help you save both time and money, while becoming more efficient and effective in your food service and supply purchasing for your program. Contact FoodSource Plus today for a FREE cost analysis. Our team will help you take control over your Head Start budget and provide even more benefits for the children who depend on your program.